WOODLAND — Woodland Public Schools’ TEAM High School offers an alternative path for students to achieve success in their K-12 education by offering flexible lesson schedules, self-directed lesson plans and personalized teaching in a focused learning environment. Students who enroll at TEAM range from those who have full-time jobs to those looking for a more flexible high school experience. The staff of TEAM constantly works to change what people think of when they think of alternative high schools. At this year’s Washington Association for Learning Alternatives (WALA) conference, the organization’s executive director singled out Woodland’s TEAM High School as the model school in Washington for site-based alternative schools. 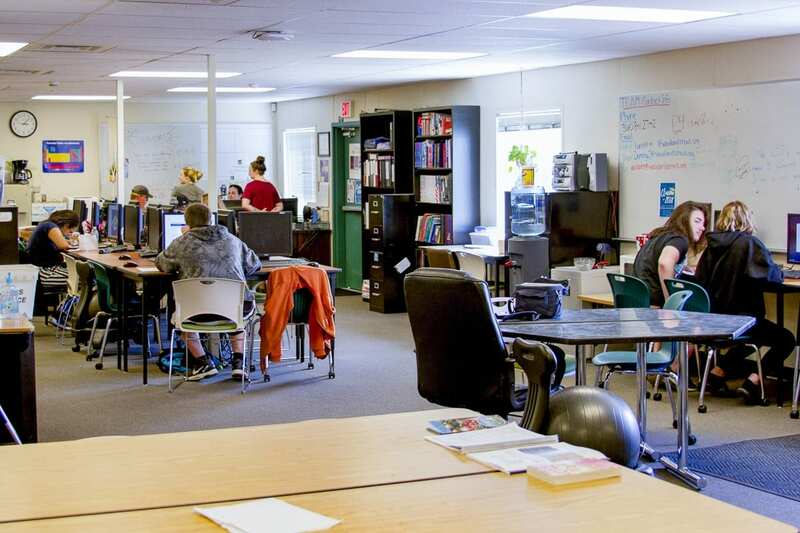 Woodland Public Schools bases TEAM out of a dedicated portable building featuring a full computer lab and other classroom resources for students. TEAM’s students use a computer-based curriculum called Apex Learning to select classes from a full range of core academic subjects and electives. Each student completes a minimum of six credits per year, working on two classes during each six-week marking period. Students choose one of five two-hour daily sessions to attend while also completing an additional 22 hours of study each week. 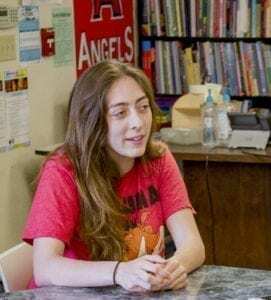 TEAM partners with local community organizations to offer more learning opportunities for students including a recent partnership with the Woodland Public Library which allowed students to take home free books. TEAM’s alternative environment provides a unique teaching experience for teachers, too. Vallaire agrees with her colleague about the small class sizes and personalized attention she’s able to provide her students. Graduation remains the top priority for both students and staff. TEAM High School’s hard work will pay off Wed., June 13, during this year’s commencement ceremony. 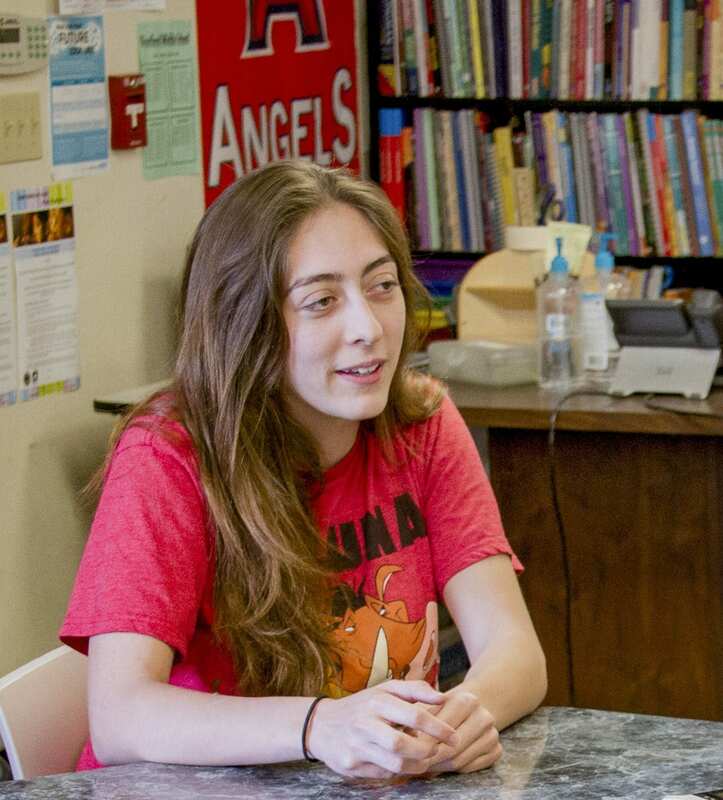 Destinee Navarro, 19, will graduate from TEAM High School Wednesday as a member of the Class of 2018 after dedicating herself to her studies. She elected to attend TEAM after relocating to Woodland with her family from Arizona. In addition to finishing her studies at TEAM, Navarro works at Papa Murphy’s Take-and-Bake Pizza in Woodland while also taking classes at the Northwest Skills Academy in Vancouver where she discovered a love of the culinary arts. Navarro’s goal of opening her own bakery stems from her self-guided nature and the calming qualities she finds in making bread. TEAM’s flexible schedule gave Navarro the freedom she needed to finish her studies at her own pace at the times she prefers to study. 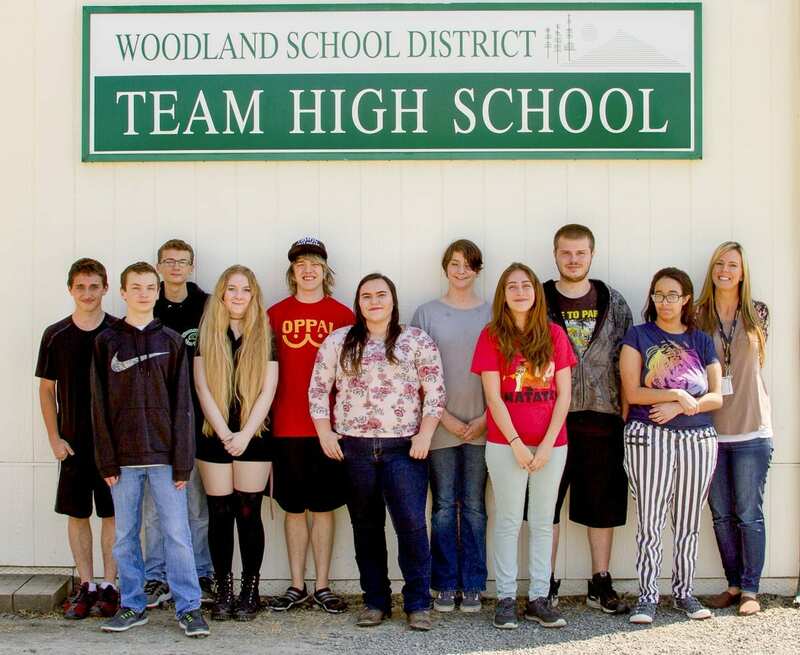 You can learn more about TEAM High School and how you can help by visiting the Woodland Public Schools website at www.woodlandschools.org.